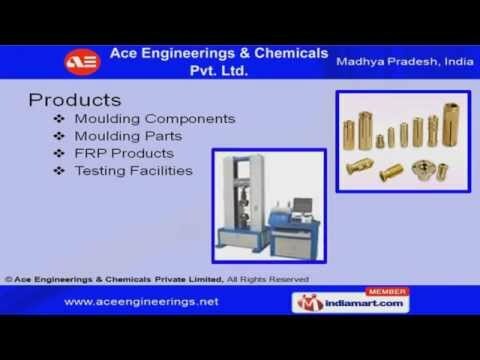 Welcome to ACE Engineering & Chemicals Private Limited Manufacturer & Exporter of Engineering Molding Products & Components We are an ISO 9001:2008 certified company, established in 1998 at Indore. We cater to Automobile, Electrical& other sectors. Huge client base, Customized solutions, Qualitative raw material & High class mechanical support are some of the plus point of our organization. Our client list includes Volvo Eicher Commercial Vehicles Ltd, TATA Motors Ltd, Larsen & Toubro Ltd. We are engaged in offering Moulding Components, FRP Products & Testing Facilities. Our Moulding Components are fabricated using premium grade raw materials. We are specialized in offering Excavator & Bus Parts. FRP Pipes, Dashboard & Bumpers are some of our best selling products. Along with that we offer Muffle Furnace, Izod Impact & Barcol Hardness Tester.